Instant noodles are a big item in convenience foods. With the accelerated pace of modern life, the market demand for instant noodles has also increased rapidly, forming a climax last year. 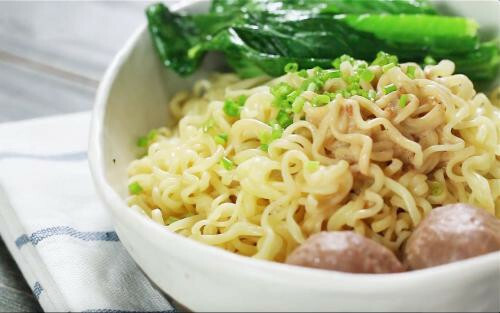 This year, the trend of supply and demand in the instant noodle market continues to grow and is gradually developing into a national market. Large-scale production equipment, before 1911, the domestic production of fried instant noodles production equipment was less than 30,000 bales. In 1982, 60,000 bales of domestically produced instant noodles were produced. This year, more than 100,000 packs of domestically produced equipment were introduced. 1. The large production basin is suitable for the needs of the big market, and is suitable for the instant noodles. 2. With larger equipment, the use of large equipment can reduce production costs. The rapid development of the instant noodle market has caused fierce competition in the instant noodle market. The result of competition is the survival of the fittest. On the one hand, the quality products of famous brand products have been recognized by the market, such as Huafeng, Kangshifu, etc. The scale of the enterprise is getting bigger and bigger, and the benefits are getting higher and higher. On the other hand, inferior products and small and weak enterprises are relentlessly eliminated by the market. The pressure of the market urges enterprises to pay more attention to the quality of products. The quality content includes the quality of noodles and soups in addition to the packaging discussed above.